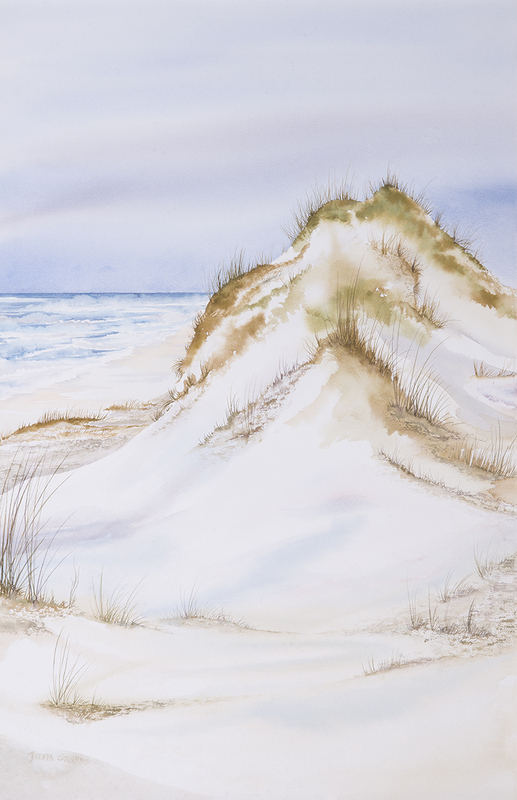 I was thrilled to receive the Laurie Bode Memorial Watercolor Award for my watercolor painting, Dune, at last night’s opening reception for the Columbus Artists Guild Members Show. This entry was posted in art classes, Brenda Stevens, composition, landscape, painting, watercolor by brendastevens. Bookmark the permalink. Congratulations! It sure is beautiful!